Hello, I’m Paulina Borsook. I’m a writer living in Santa Cruz, California. In 1968, a day after Bobby Kennedy was assassinated and less than ten miles away, I was shot in the head with a Colt .45 from a distance of six feet. I was fourteen years old. And I saw three or four others in this group of maybe 20 people with TBI also nodding their heads. For the first time, I made the connection between my head trauma and my permanent and profound sense of alienation from my own life. Something I had always considered existential or psychological or characterological turned out to be neurological. And that was artistically interesting. The idea for this art project, “My Life as a Ghost”, arrived fully formed a few months later. What happens when the soul is slammed out of the body and incompletely returns? Most creatures feel they properly belong to their lives. But what happens when that feeling has largely departed? Not everyone with TBI experiences this ghostliness but some of us do. The witnessing of TBI ghosts has much to say, in this era of functional MRIs and Quantified Self, about the perplexing intersection of psyche and soma. Because I am a writer, I know the limits of words. “My Life as a Ghost” will be a visual and immersive environment that people can move through. A performance the opening night of the installation will be a collaboration with a composer, a sound designer, and a choreographer. 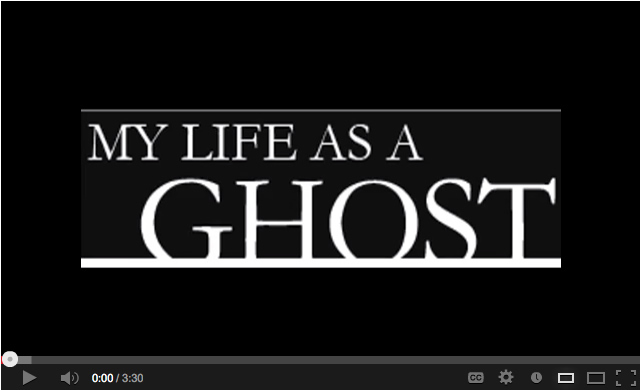 “My Life as a Ghost” wont just be about me. The experiences of TBI ghosts, captured in interviews with beautiful cinematography, will lay the foundation. The filmed documentation of their gestures, anecdotes, and metaphors will help shape the project but it is not the project itself. “My Life as a Ghost” is art and not documentary. The project will develop in several phases, beginning with a month-long residency at Stanford in October 2013. In this works-in-progress residency I will be giving a workshop/performance at the Bing theater. I will make use of an office on campus and have access to faculty and libraries. But with this campaign, I hope to support the first phase of filming and editing the interviews with TBI ghosts, producing a demo reel for subsequent phases, and handling project startup costs such as IT infrastructure and printing. Any contributions over the campaign goal will be applied to the next phase of the project. You can read more about “My Life as a Ghost” at mylifeasaghost.org. I and other TBI ghosts thank you for your support.